I just wanted to do a quick catch up post of my YouTube videos as my channel is still fairly new so I'm sure some of you won't have seen it yet! I'd really appreciate it if you could check it out and subscribe if you enjoy my videos! I've posted 11 videos so far and I post two a week on Wednesdays and Sundays, so there will be another new video up soon. 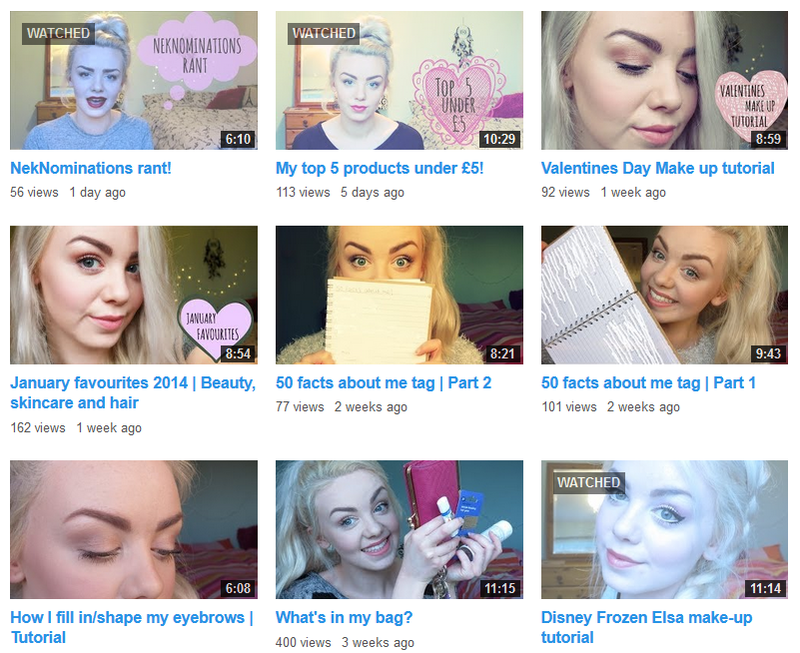 I'll be mainly doing beauty type videos such as tutorials, get ready with me, hauls, favourites and also tag videos. My latest video is something a bit different and I'm debating whether I should upload more like this or keep my channel beauty based. Although maybe I should just upload whatever the hell I want ha! Hope you enjoy my channel!